A Man and His Soul originally released 1967) as a double-album is the perfect introduction to a cross-section of the breakthrough material and any compilation that features “I Can’t Stop Loving You”, "Hit the Road Jack” or “Together Again” has to be explored. His legacy is immense and so obvious it doesn’t need stating. The biopic Ray, starring Jamie Foxx, in an Oscar-winning performance did much to bring him back into the public eye. That film may already have turned your attention ti this extraordinary man. The original is really all you need. 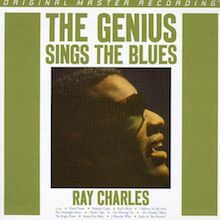 Down-home, anguished laments and moody ballads were turned into triumphs by Ray Charles. He sang these songs with the same conviction, passion, and energy that made his country and soul vocals so majestic. One of the best early-'60s examples of soul/jazz crossover, this record, like several of his dates from the period, featured big-band arrangements (played by the Count Basie band). This fared better than some of Charles' similar outings, however, if only because it muted some of his straight pop aspirations in favor of some pretty mean and lean, cut-to-the-heart-of-the-matter B-3 Hammond organ licks. 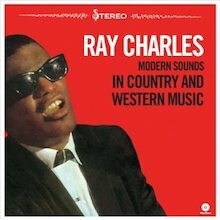 Most of the album is instrumental and swings pretty vivaciously, although Charles does take a couple of vocals with "I'm Gonna Move to the Outskirts of Town" and "I've Got News for You." Yet one of those instrumentals, a cover of the Clovers' "One Mint Julep," would give Charles one of his most unpredictable (and best) early-'60s hits. In 1997, it was combined with the much later My Kind of Jazz album (from 1970) onto a single-disc CD reissue by Rhino. 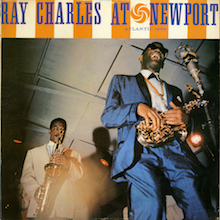 For his appearance at the Newport Jazz Festival on July 5, 1958, Charles pulled out all the stops, performing raucous versions of "The Right Time," "I Got a Woman," and "Talkin' 'Bout You." 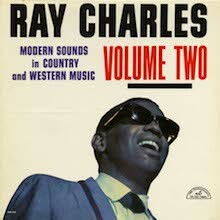 Issued under the title Ray Charles in 1957, this Jerry Wexler-produced set was Ray Charles' debut album for Atlantic Records, and it was a gem, with powerful, timeless performances of "I Got a Woman," Henry Glover's "Drown in My Own Tears, Ahmet Ertegun's "Mess Around," a stomping version of "Hallelujah I Love Her So," and Lowell Fulson's "Sinner's Prayer," among other vintage Charles delights. 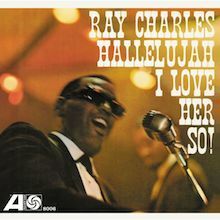 The album was reissued in 1962 with the title Hallelujah I Love Her So, and has since also been reissued under the title Rock & Roll, but whatever it's called, it introduced one of the most dynamic performers of the 20th century to a new and wider audience. A partially successful revisiting by Charles of his country sessions of the early '60s. These songs weren't quite as transcendent as those on the prior dates, but he showed once again that the lines between country, R&B, and soul weren't as rigid as many in the various camps thought. Having struck the mother lode with Vol. 1 of this genre-busting concept, "Brother Ray," producer Sid Feller, and ABC-Paramount went for another helping and put it out immediately. The idea was basically the same -- raid the then-plentiful coffers of Nashville for songs and turn them into Ray Charles material with either a big band or a carpet of strings and choir. 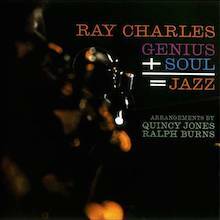 This time, though, instead of a random mix of backgrounds, the big band tracks -- again arranged by Gerald Wilson in New York -- went on side one, and the strings/choir numbers -- again arranged by Marty Paich in Hollywood -- were placed on side two. Saleswise, it couldn't miss, but, more importantly, Vol. 2 defied the curse of the sequel and was just as much of an artistic triumph as its predecessor, if not as immediately startling. Charles' transfiguration of "You Are My Sunshine" sets the tone, and, as before, there's a good quota of Don Gibson material; "Don't Tell Me Your Troubles" becomes a fast gospel rouser and "Oh Lonesome Me" a frantic big band number. Paich lays on the '50s and early-'60s Muzak with an almost gleeful, over-the-top commercial slickness that with an ordinary artist would have been embarrassing. But the miracle is that Charles' hurt, tortured, soulfully twisting voice transforms the backgrounds as well as the material; you believe what he's singing. It appealed across the board, from the teenage singles-buying crowd to adult consumers of easy listening albums and Charles' core black audience -- and even those who cried "sellout" probably took some secret guilty pleasures from these recordings. While Charles didn't get a number one chartbuster à la "I Can't Stop Loving You" out of this package, "Sunshine" got up to number seven, and "Take These Chains From My Heart," with its Shearing-like piano solo and big string chart, made it to number eight -- which wasn't shabby at all.